Siri makes for a handy assistant, capable of all sorts of useful things. But if you’ve ever been in a meeting or theater and had Siri get triggered by accident, you know she can also be a bit of a nuisance. By default, Siri speaks aloud even when you have your phone muted. Here’s how to change that. 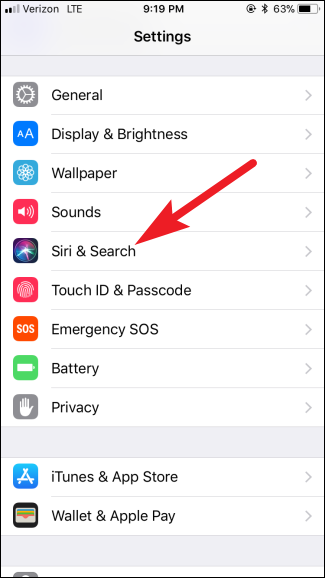 In your Settings app, tap the “Siri & Search” option. 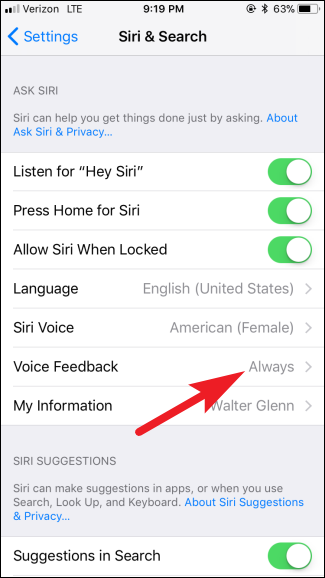 On the “Siri & Search” page, tap the “Voice Feedback” option. Here, you have three options. The “Always On” default setting makes Siril speak her responses to you no matter what. 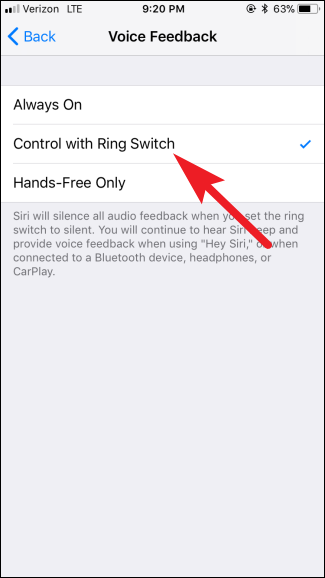 Tap the “Control with Ring Switch” setting to have Siri not speak her responses when you have your Ring Switch turned off. Note that you will still hear the beep that lets you know you’ve activated Siri; you just won’t hear her voice. The “Hands-Free Only” option makes Siri respond with a beep and her voice only when you activate her using the spoken “Hey Siri” command and not when you activate her by holding the Home button. And that’s all you have to do. It’s easy to end the audible interruptions from Siri just by making her respect the Ring Switch.